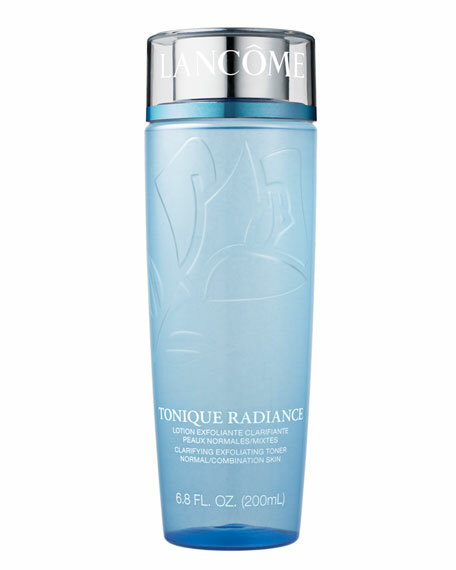 Lancome Tonique Radiance Clarifying Exfoliating Toner, 13.5oz. 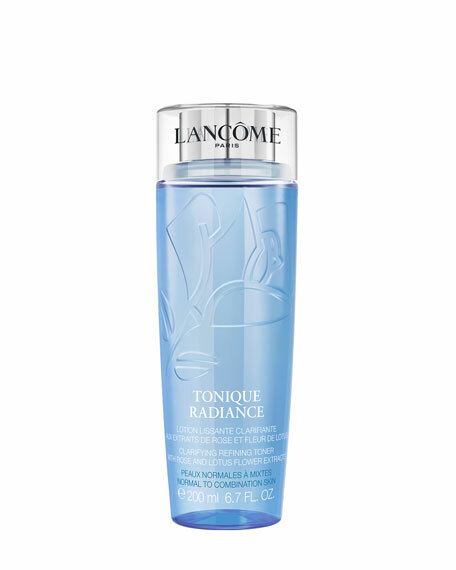 LancomeTonique Radiance Clarifying Exfoliating Toner, 13.5oz. A Luxurious Balance of Science and Nature: Reveal Purified, Pampered Skin. This refreshing exfoliating toner with antioxidant White Lotus and clarifying Anise Extract helps speed up cell turnover to improve skin tone, texture and clarity. Reveal newer, fresher-looking skin. How to: Saturate cotton pad. Gently smooth over entire face and throat. For enhanced results, follow with your recommended Lancôme Power System.